Following October’s announcement that it would soon be closing down, today is the day that AOL Instant messenger (AIM) officially came to an end. Having been around for more than 20 years, it was killed off just a few hours ago. Those of certain age will likely have fond memories of a service almost everyone seemed to use back in its heyday. 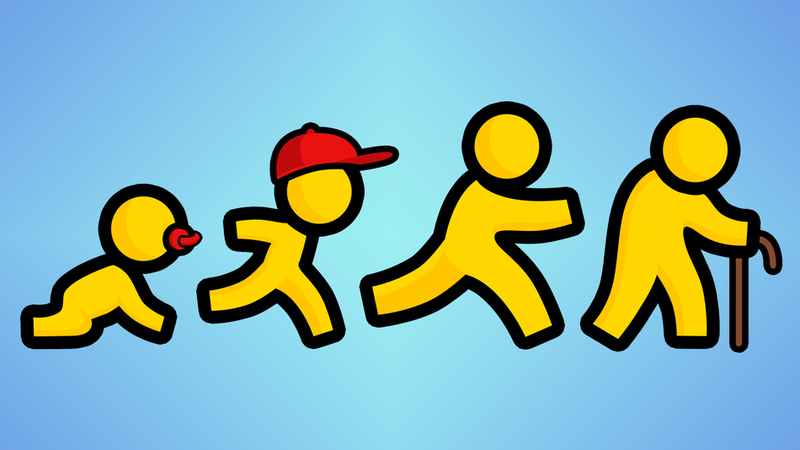 Although its popularity dropped off a cliff during the later part of the last decade, AIM was incredibly popular in the US during the late 90s to mid-2000s. The writing was on the wall for the chat client when AOL (now OATH) announced it was cutting off third-party access to AIM back in March. October brought the news many were expecting: AIM would be permanently going dark on December 15. "AIM tapped into new digital technologies and ignited a cultural shift, but the way in which we communicate with each other has profoundly changed. As a result, we’ve made the decision that we will be discontinuing AIM,” wrote Michael Albers, Oath VP of Communications Product. Like many people over 30, I have fond memories of using AIM and similar services such as ICQ and MSN Messenger during the internet’s earlier years, so today is a bit of a sad day. Anyone continuing to use an @aim.com email address will still be able to send and receive emails as usual. In a frequently asked questions section regarding the shutdown, AOL says there is not currently a replacement product for AIM, but it is “excited to continue bringing you new, iconic products and experiences.” Considering the amount of competition it would face from the likes of Snapchat, WhatsApp, Facebook Messenger, etc., it’s hard to imagine the company bringing out another messaging service, but it could try to take advantage of the nostalgia crowd. Goodbye, AIM, and thanks for so many great memories.